We enjoy quite a few unprecedented technologies today, but much more of the stuff that we use has been around for ages. 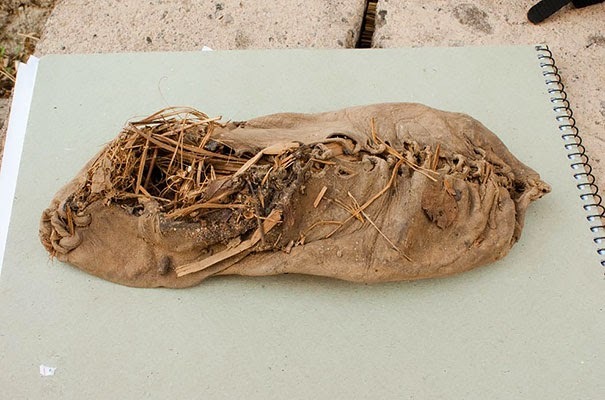 Ancient humans may not have been able to text or upload selfies, but they enjoyed everyday objects like flushable toilets, chewing gum and nice purses just like we do. 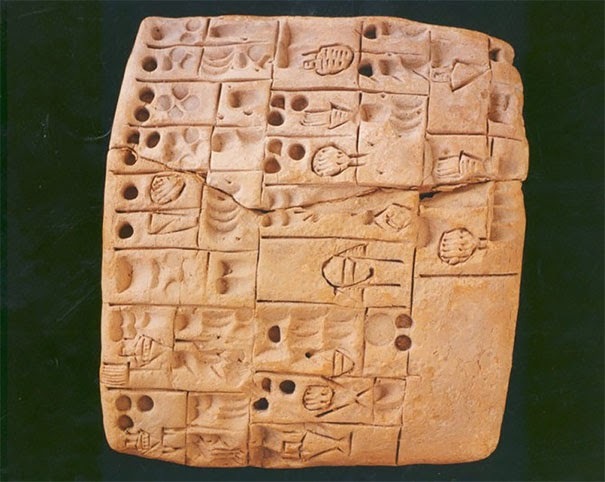 What: A Sumerian Beer recipe – A strong beer with chunks of bread floating in it. 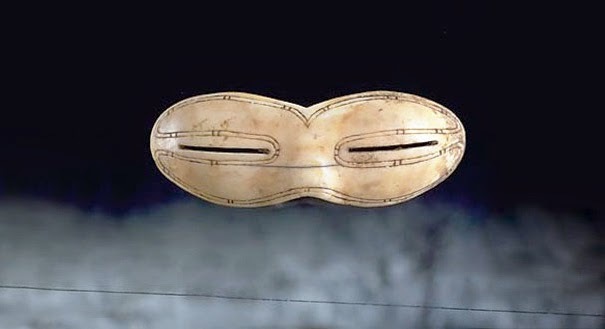 Who: We can credit the Eskimo or Inuit of the Arctic for the world’s first sunglasses. 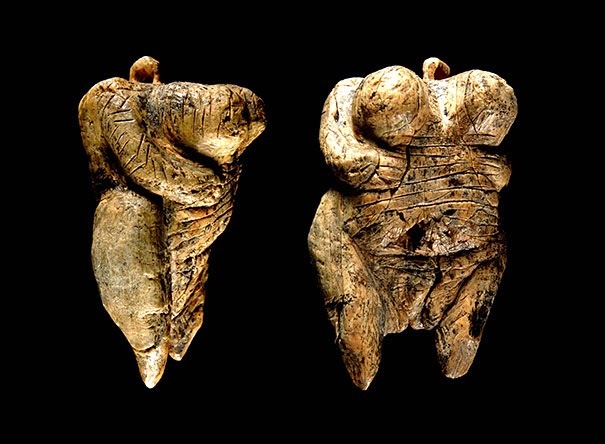 What: Venus of Hohle Fels is the oldest statue depicting a human figure. 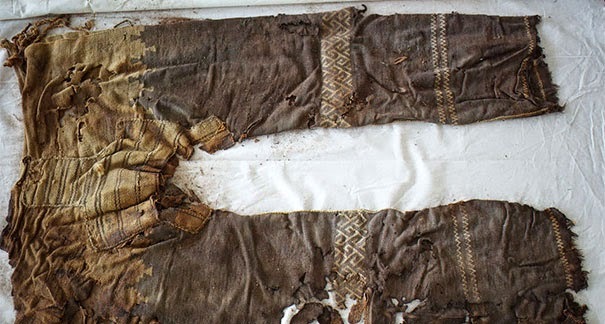 Where: Found in a cave in Armenia, preserved by grass and dry sheep dung. Who: Because it has characteristics of a flute, he has called it a “Neanderthal flute”. 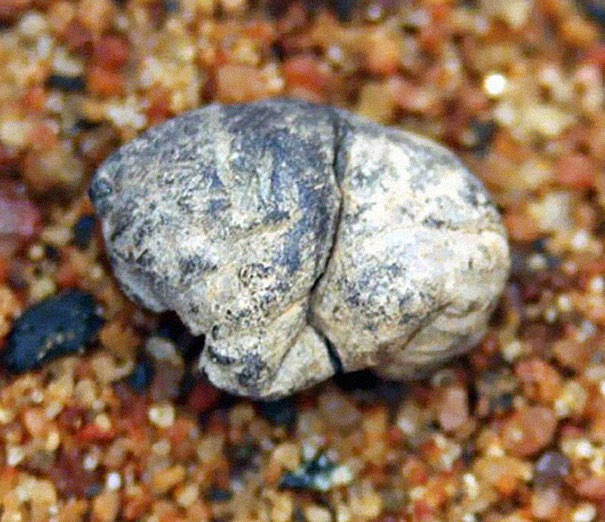 Whether it is actually a flute created by Neanderthals is a subject of debate. 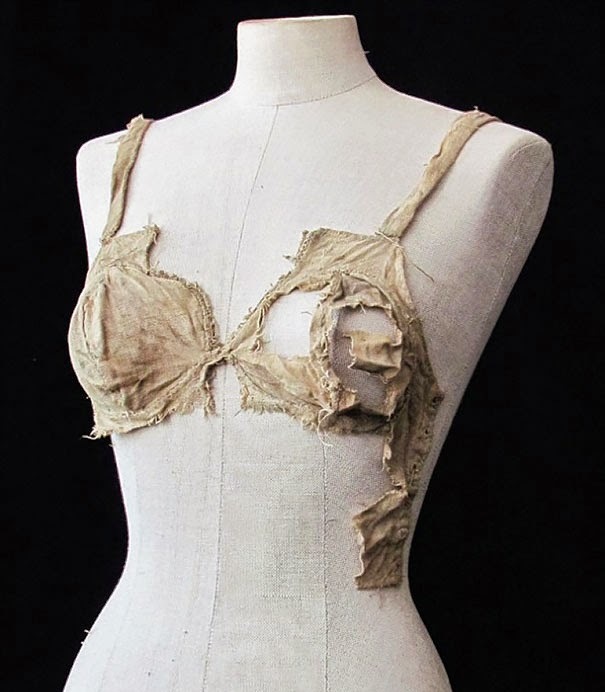 It is broken at both ends, and has two complete holes and what may be the incomplete remains of one hole on each end, meaning that the bone may have had four or more holes before being damaged. When: The flute has been associated with the “end of the middle Pleistocene” and the time of Neanderthals, about 55,000 years ago. 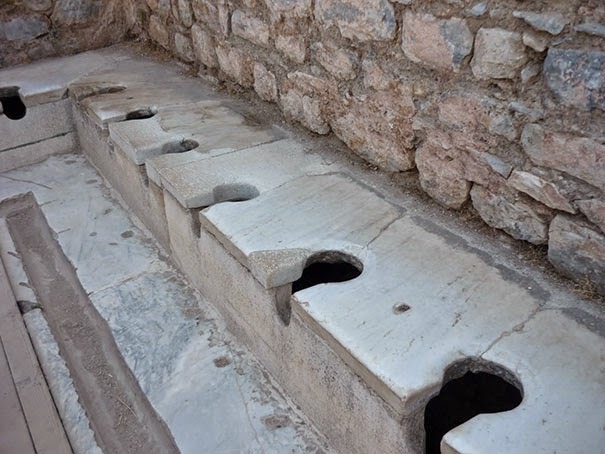 What: Almost every house unit at Mohenjo-daro was equipped with a private bathing area with drains to take the dirty water out into a larger drain that emptied into a sewage drain. Many of these bathing areas had water tight floors to keep moisture from seeping into the other rooms nearby or below. Where: Locations of Harappa and Mohenjo-Daro, Pakistan. What: A prosthetic was used to help someone in Egypt to walk again. 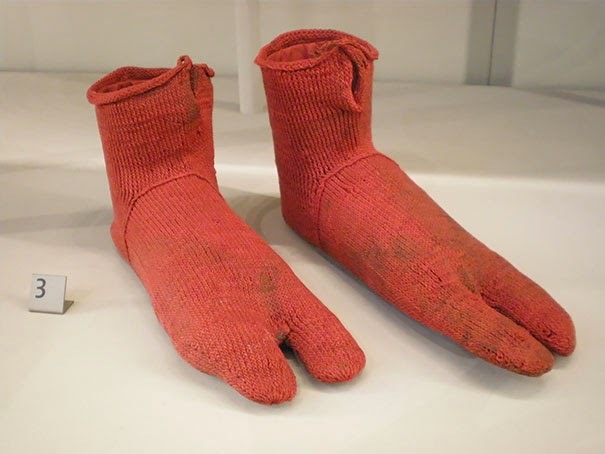 When: was used in 1640 (yes, more then once). 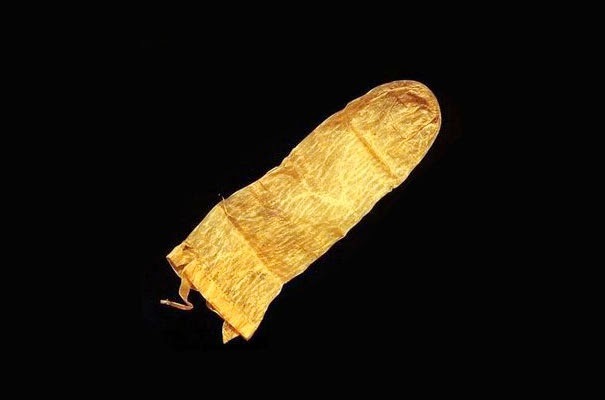 The reusable condom came with instructions (in Latin) to clean it with warm milk to prevent users from catching STDs. What: Chewing gum. 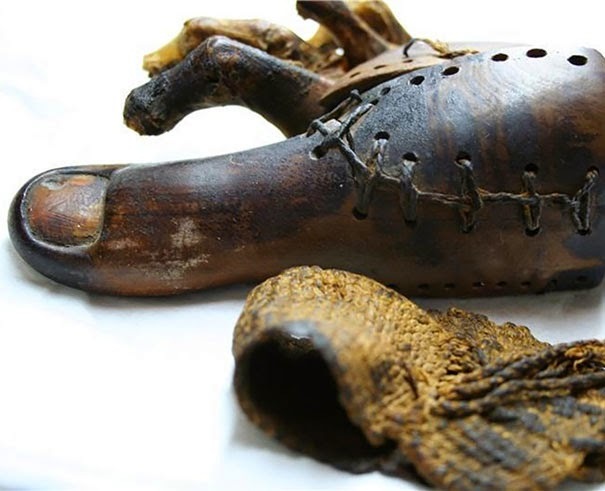 The gum consists of birch bark, and was most likely used to heal mouth infections or to use as glue. 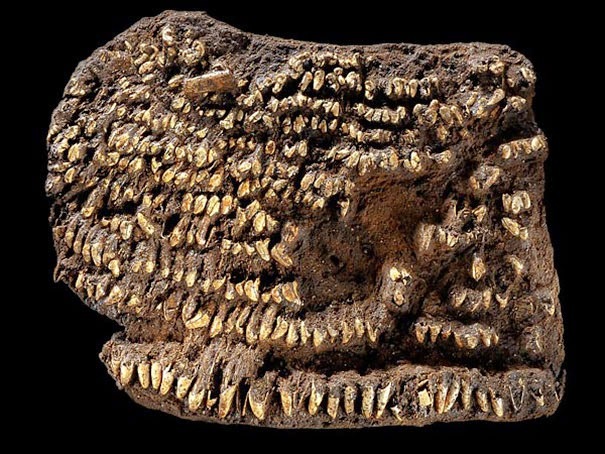 When: was chewed at least 5,000 years ago. 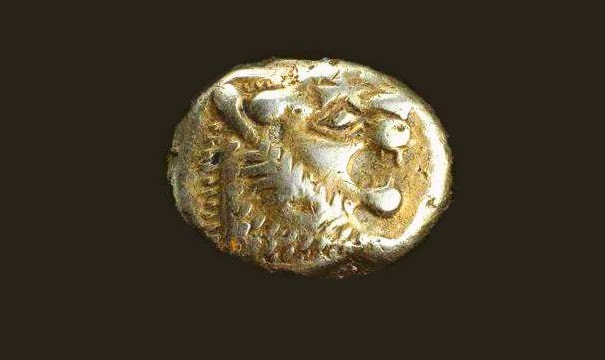 What: The oldest known coin. Where: found in the ancient Hellenic, city of Efesos in Turkey. 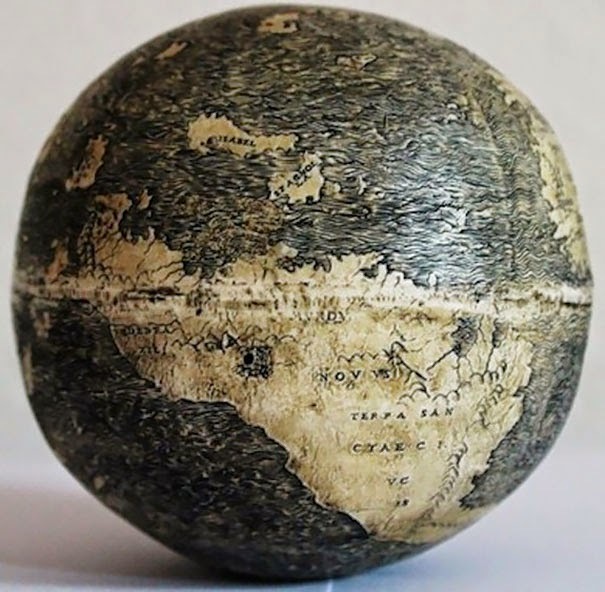 Who: it had been sold to its current owner at a map fair in London in 2012. 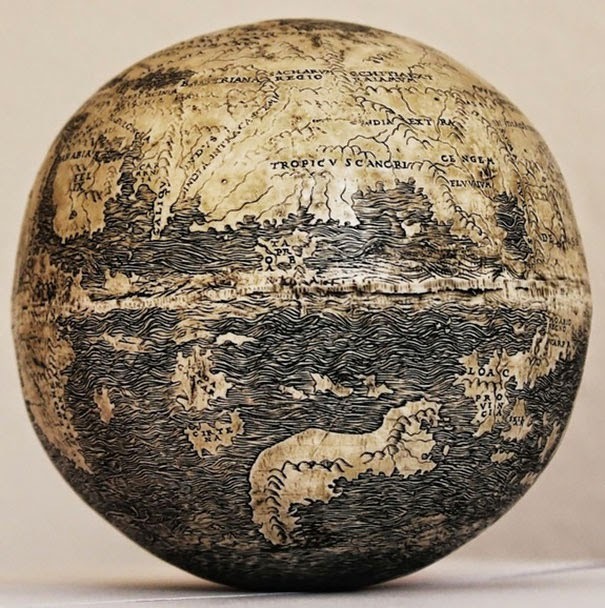 What: The oldest globe was painstakingly etched into the surface of an ostrich egg.